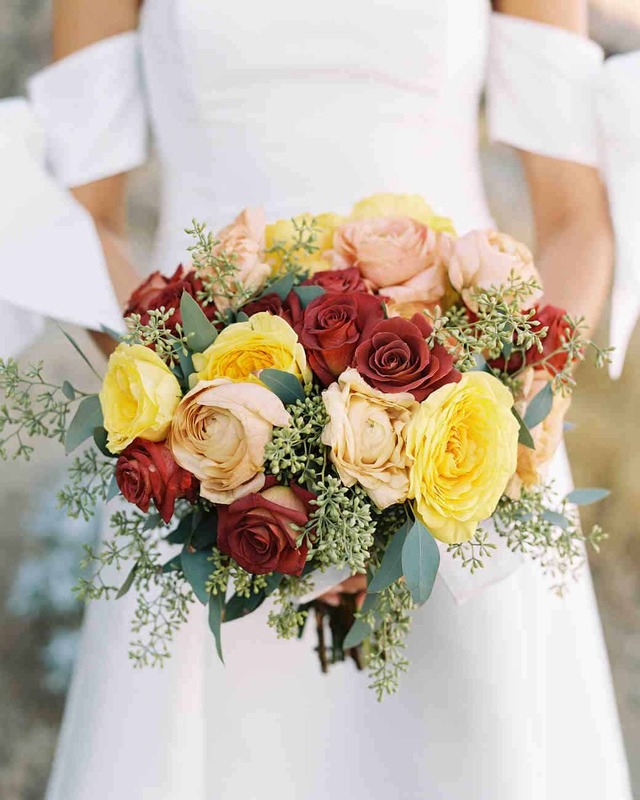 Your wedding bouquet will not only take center stage on the big day, but they will, most likely, be the most important flowers you will ever choose. Your bouquet will be immortalized in your wedding photographs too. Choosing your wedding flowers is never a trivial matter and with so many styles to choose from, it’s easy to feel overwhelmed. 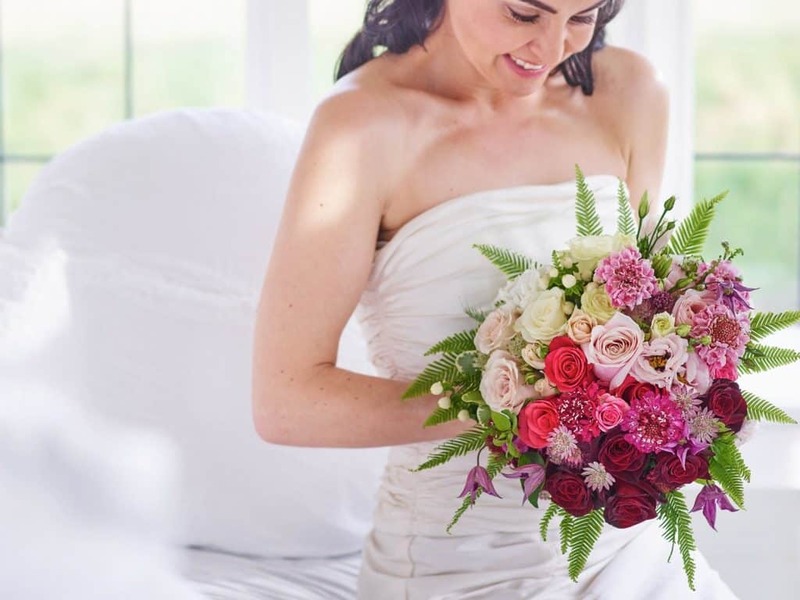 This guide to the 7 types of wedding bouquets is the perfect place to start when considering what style will best complement your wedding dress. The Biedermeier Bouquet is a tightly wrapped bridal bouquet, arranged in a circular pattern with different colored flowers. Typically each ring is made up of one distinct flower type, creating dramatic visual impact, which has proved popular with brides who want to really make a statement on their big day. 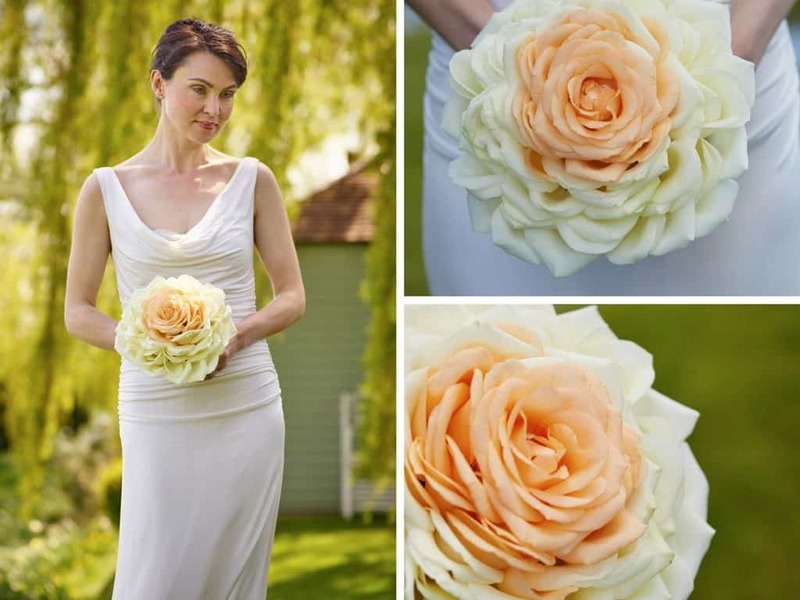 The Composite Flower Bouquet, or Carmen Rose, as it is sometimes known, is one of the more modern types of bridal bouquets. In this type of arrangement, the bouquet is constructed from hundreds of individual petals, wired together to look like one gigantic flower. 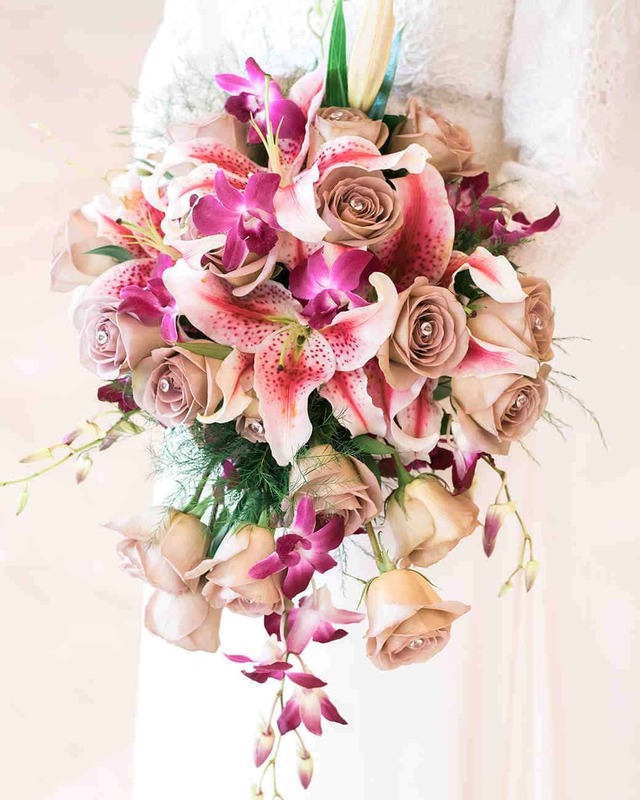 Though it may appear very simple to the casual observer, this is a very specialized type of bouquet and can prove to be one of the most expensive simply because of the hours of work that go into creating it. The Nosegay bouquet, also known as the tussie-mussie, has been around since the Middle Ages. 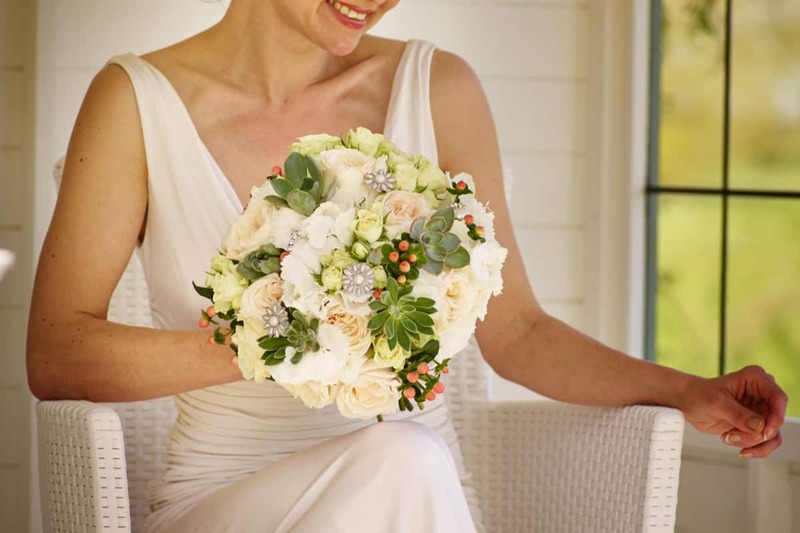 Round-shaped and densely packed with flowers, this style of bridal bouquet traditionally features a handful of central flowers, encircled by ‘filler flowers’ and then framed with fresh herbs. It is usually tightly bound with organza ribbon, making it practical to hold. A pomander is a ball of flowers, arranged in floral foam and suspended from a decorative ribbon. Most commonly, this is the arrangement of choice for young flower girls. 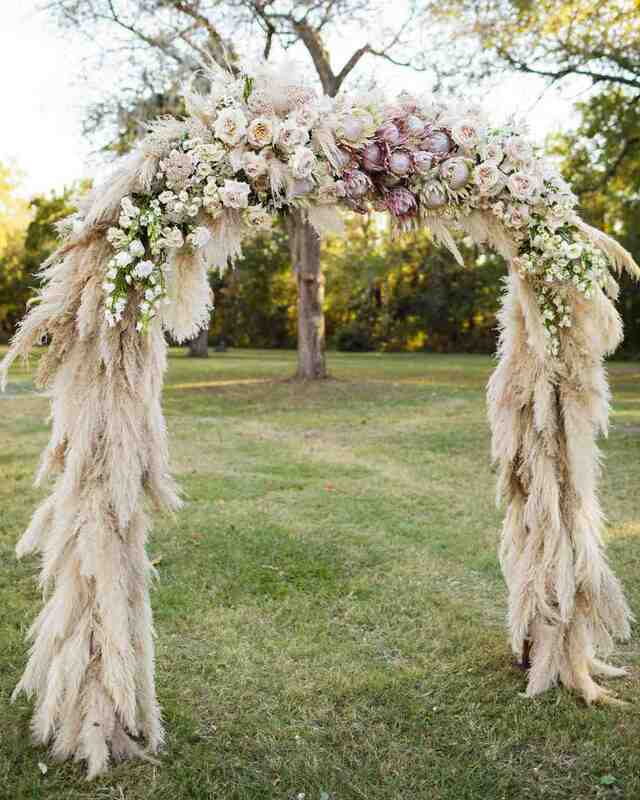 However, there’s no reason why the bride herself couldn’t carry one of these splendid arrangements down the aisle. 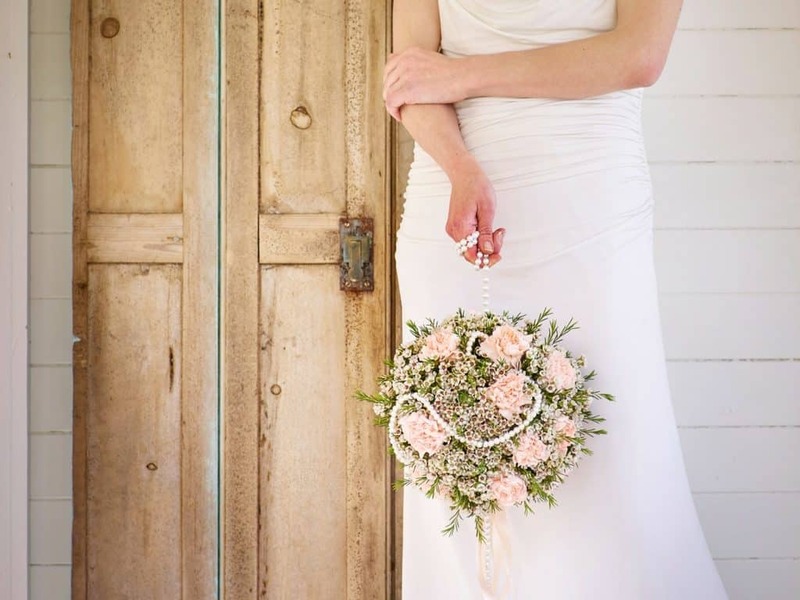 Typically round in shape, the posy bouquet is a popular choice for modern brides as it is easy to handle and often small enough to be carried in one hand. 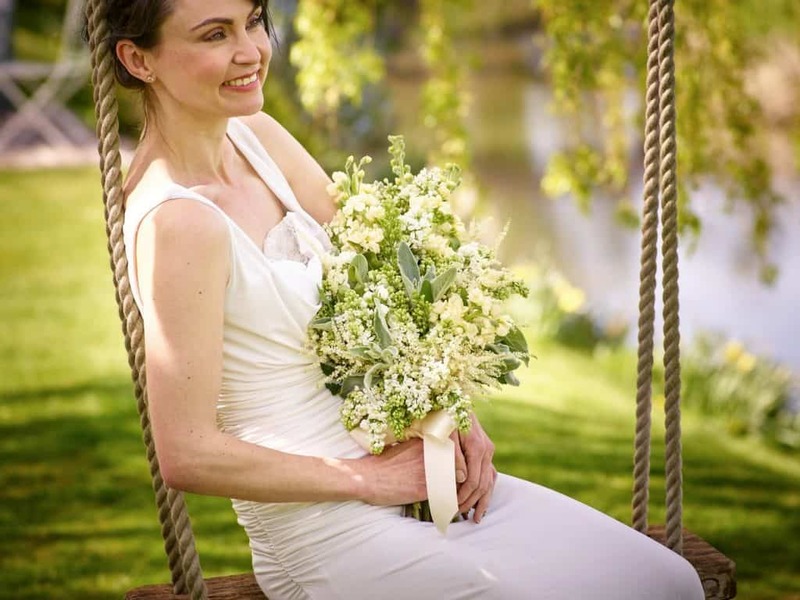 Suitable for almost any type of wedding, this type of bouquet can either be an informal, loose arrangement – perfect for a vintage or country themed wedding – or more tightly constructed for a contemporary twist. 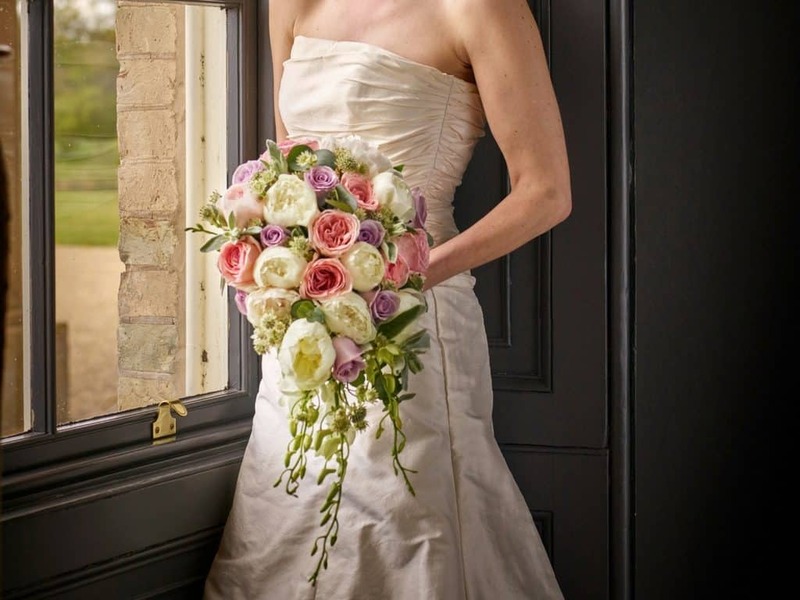 The Presentation Bouquet is a sheaf of flowers, designed to be cradled in the arms and was a popular style of wedding bouquet at the turn of the twentieth century. 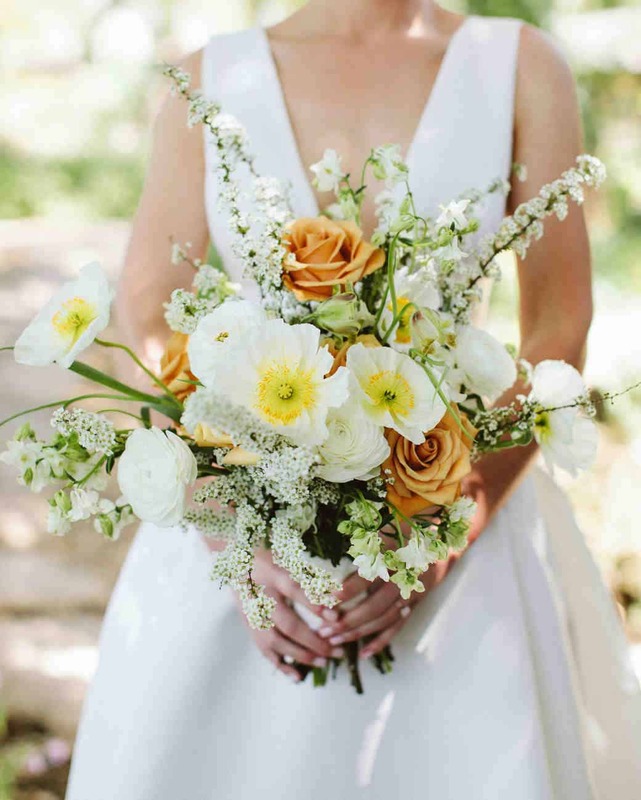 This simple style of bouquet typically uses long stemmed flowers such as Calla lilies or roses and has become a popular choice for the modern bride, owing to its chic appearance and the influence of period dramas such as Downton Abbey. Perhaps the most traditional style of all wedding bouquets, the shower bouquet is the epitome of elegance and sophistication. It is designed to gracefully flow out of the bride’s hands. 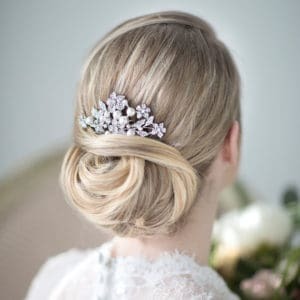 This cascading style was made popular by Princess Diana in the 1980’s and has enjoyed something of a revival in recent years. Almost any type of flower can be included in this type of arrangement, which is often enhanced with trailing ivy and fresh foliage. 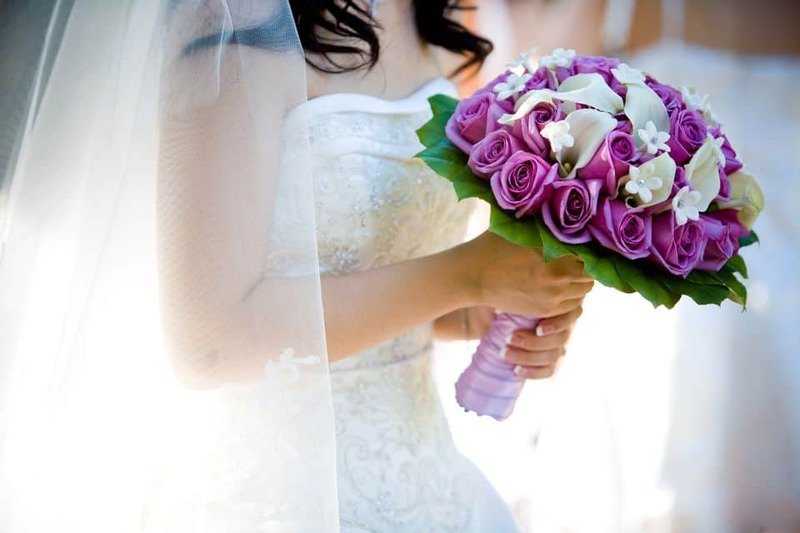 No matter why type of wedding bouquet you choose, given the above examples, I know that your’s will be gorgeous. 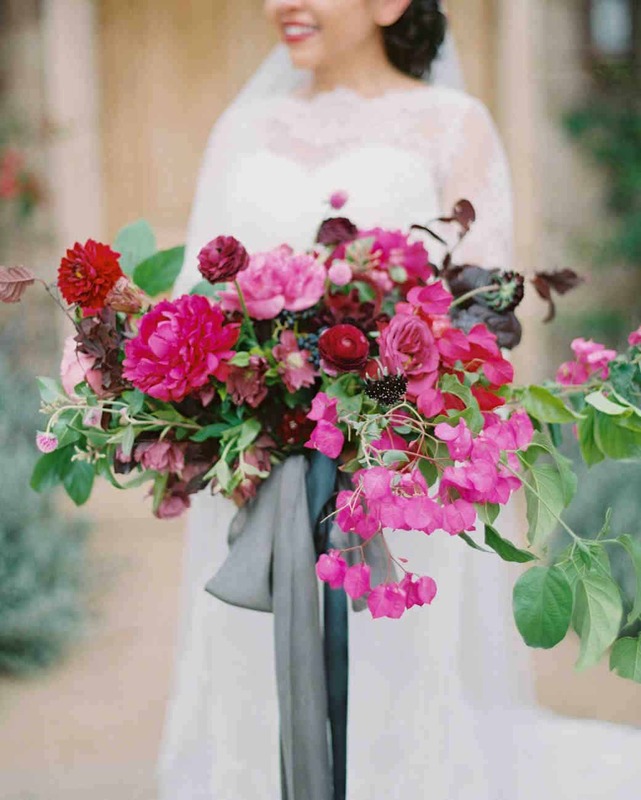 These 7 types of wedding bouquets are very inspiring. 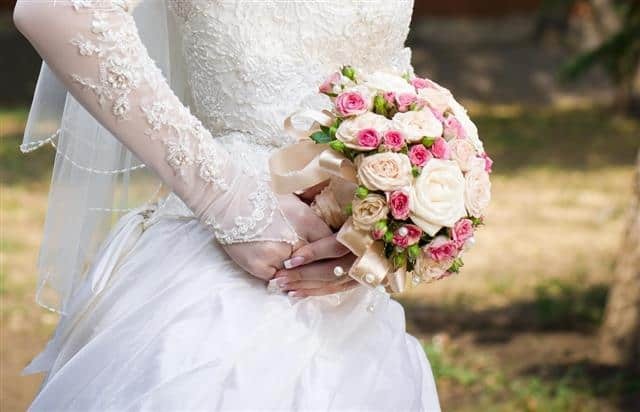 As you walk down the aisle, everyone will marvel at your beauty and the stunning wedding bouquet that you have chosen. With all you have to consider, choosing wedding colors can be a daunting task. 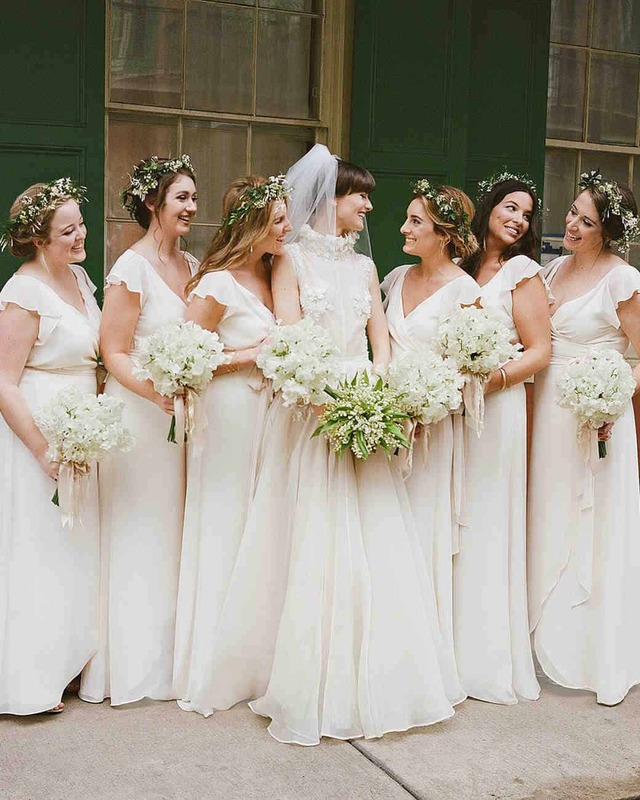 Some couples like to keep their wedding party in mind when picking their palette, so what are you to do when you’ve got a super diverse group of bridesmaids? 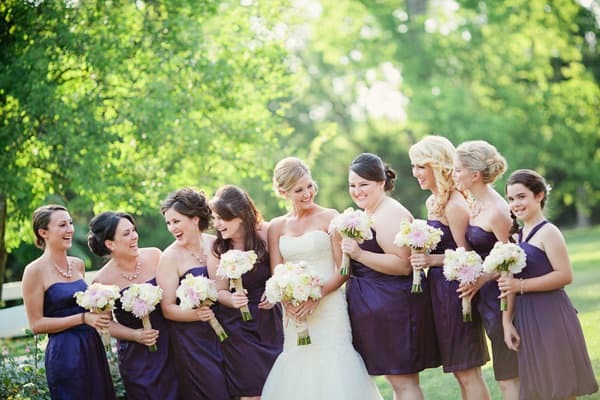 Stick with a color that suits every kind of complexion — your bridesmaids will thank you for it! Not everyone can pull off every shade of green. 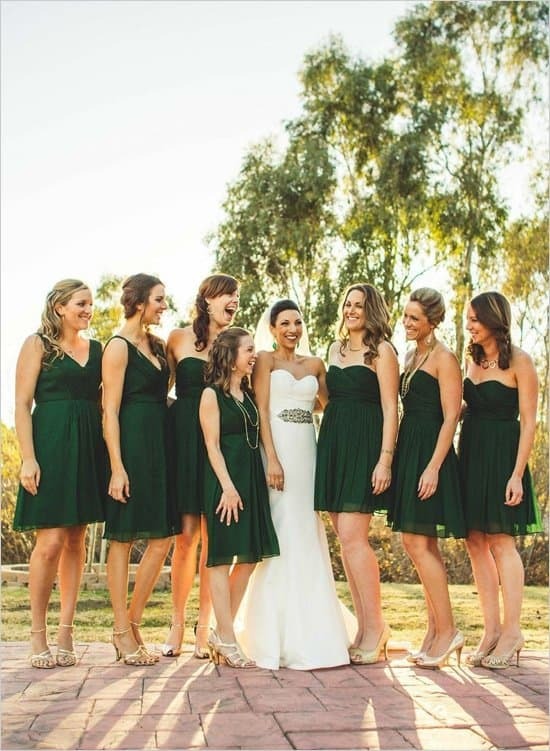 For example, it’s hard to pull off kelly green, but a deep, jewel-tone shade is universally flattering. If you pick a rich hue, it may add intrigue without washing anyone out. It may be the most obvious, but black is definitely worth including on the list. Black is slimming and timeless. Plus, black is so simple, you can mix textures or silhouettes. If black feels too harsh, switch it up just a bit and pick its slightly lighter cousin which is navy. The super dark shade has the same feeling, but it’s a little softer than a stark midnight color. Are you surprised? Every girl can pull off a red lip, so why not a red dress? Be sure to pick what they might call “true” red — the most solid, primary version of the shade. Taking it any brighter or deeper could cause some girls to look great and others to feel self-conscious. Don’t get teal confused with a super bright turquoise or a true blue — teal is a deep shade of blue-green. Its the richness of the two hues blended together that makes this a great fit for everyone. Not only is blush incredibly pretty and on trend, but it’s also a safe pick for even the most varied group of girls. A light pink brings out your best friends’ natural coloring. Don’t just pick any shade of purple — lavender and mauve aren’t great on everyone. Instead, stick to a middle-of-the road purple such as plum, eggplant, or violet. The mix of warm and cools are what make this shade a fit for anyone. Don’t see your dream color on this list? Good thing mismatched dresses are so popular! 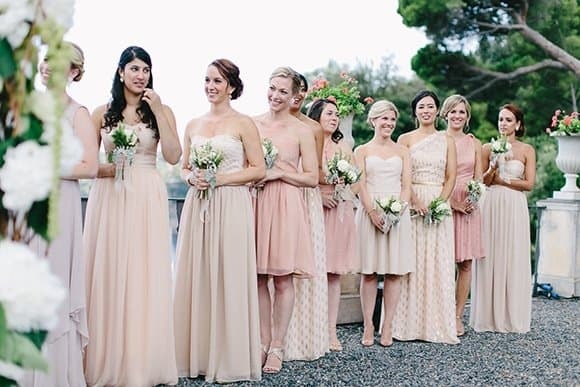 Remember that you can mix and match shades of one color so that every bridesmaid gets to wear a tint that suits her style. For more inspiration, click here to check out my Pinterest Board “Wedding Inspiration”. No bridal look is complete without the finishing touches. 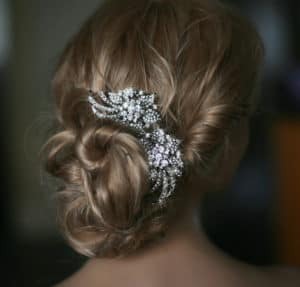 Bridal hair accessories is a great way to polish your look as a bride. 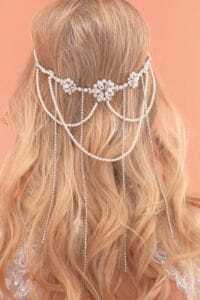 Whether it’s a simple crystal hair comb or a more elaborate hair band, I have compiled a list of different hair accessories to assist you with you wedding planning. I hope that you find inspiration in the examples below. Hair combs and pins are perfect accents to an up-do. 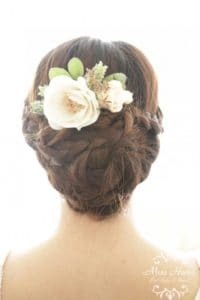 They create a more beautiful hairstyle and shows attention to detail. 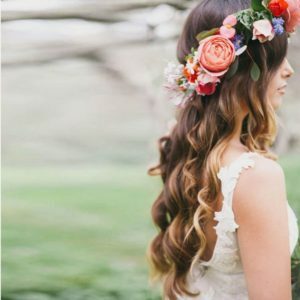 If you’re planning a bohemian-themed wedding, a flower crown or comb might be just the touch that your wedding needs. Flowers are from nature, thus catering to your wedding’s earthy vibe. 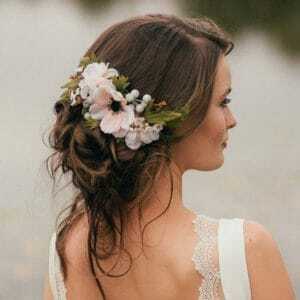 Hair vines are some of the most beautiful additions to any bride’s hair. 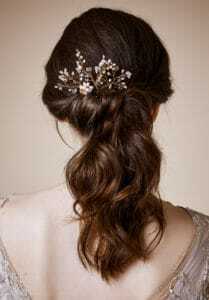 They can be woven into the hair by braid or pin. 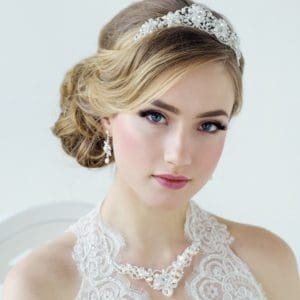 It’s important to keep it sturdy as hair vines are more complex that other bridal hair accessories. Adding a tiara or headband full of crystals and pearls creates a romantic feel to your bridal look. It’s ornate and shows that you are, undoubtedly, the center of attention. You are the queen and this is your day! Adding to the glamour of the day are headpieces. They really “pop” when worn with either a simple or ornate gown. Some brides like to wear a simpler dress to put the focus on her and the headpiece. Other brides like an ornate gown along with their headpiece to show off the entire look. Either way, the bride exudes confidence and it’s the perfect choice! 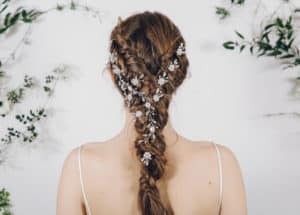 With summer on its way and wedding season in full swing, I was inspired by this article on The Knot to (hopefully) help people choose the correct outfits for Spring and Summer weddings. Let’s face it, some of the attire requirements can get a little confusing! Hopefully, this article will clarify some of that confusion and help you look your best! This is the most formal of all dress requirements. Consider the Royal wedding of Prince William & Duchess Kate and the upcoming nuptials of Prince Harry & Meghan Markle on May 19th. 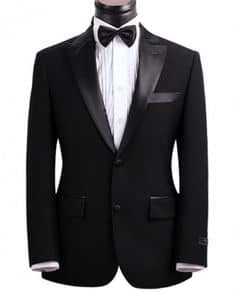 For Him: A tuxedo and long black jacket with tails. A white bow tie is a must with black formal shoes and white gloves for dancing. For Her: A full length formal ball gown in a neutral color like black or dark brown. Dramatic jewelry, hair, and make-up are appropriate. This is almost as dressy as white tie and it usually means that the wedding is an evening affair. This is somewhat less formal than black tie, but still quite dressy for both him and her. This suggests an elegant beach wedding so dress to impress while also considering the elements. Pay attention to the time of the event. This wedding dress code is somewhere between semi-formal and casual. 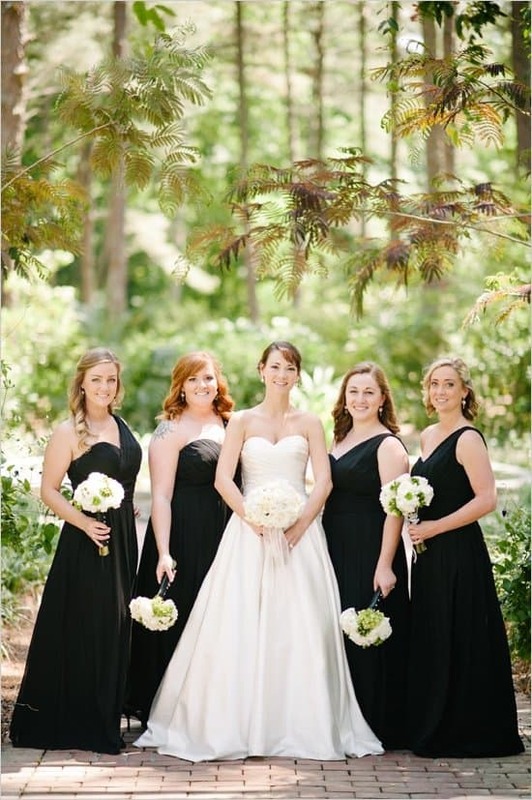 Wear darker colors for evening and lighter for a daytime wedding. Casual means casual. However, I would not suggest wearing jeans and a tank top, but I would suggest feeling comfortable wearing something you would wear to a nice dinner out with family and friends. One of the most important decisions that a bride will make about her wedding is her choice of a wedding dress. On the big day, all eyes are on the bride so the dress has to be perfect. 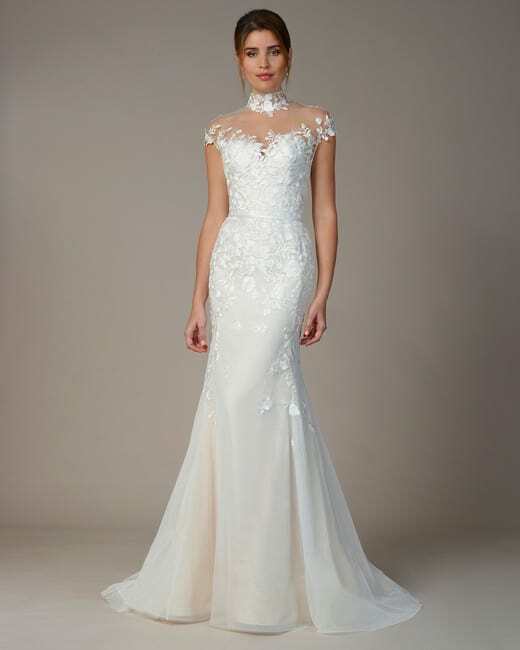 There are so many options from which to choose – from the neckline to the train. 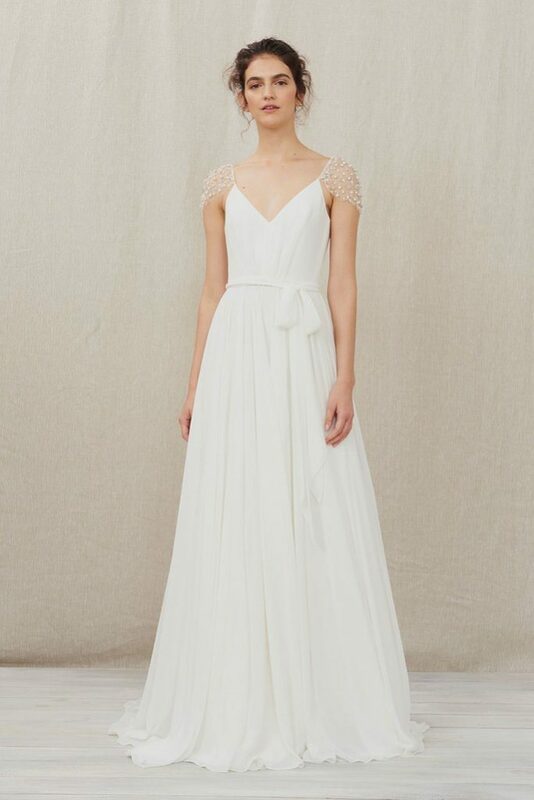 Regardless of any trend or anyone’s opinion, the wedding dress should be right for you! Try on as many as you like to get a feel for what works on you and what doesn’t work. You will know it when you see it. And more importantly, you will know it when you feel it. You are likely to cry and so are the people you brought with you! And that’s a good thing. 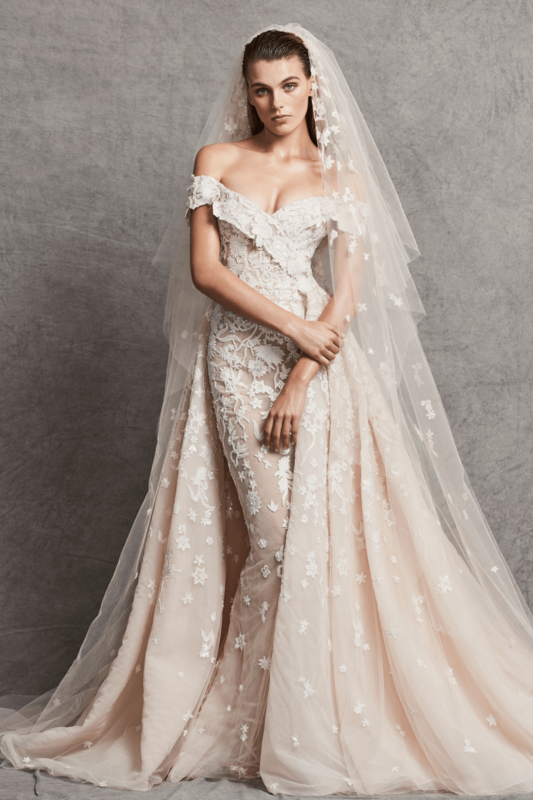 Now that Bridal Fashion Week has concluded, I scoured the bridal collections for this season in search of my favorite wedding dresses so that I may present them to you as ideas. It was such a fun task! 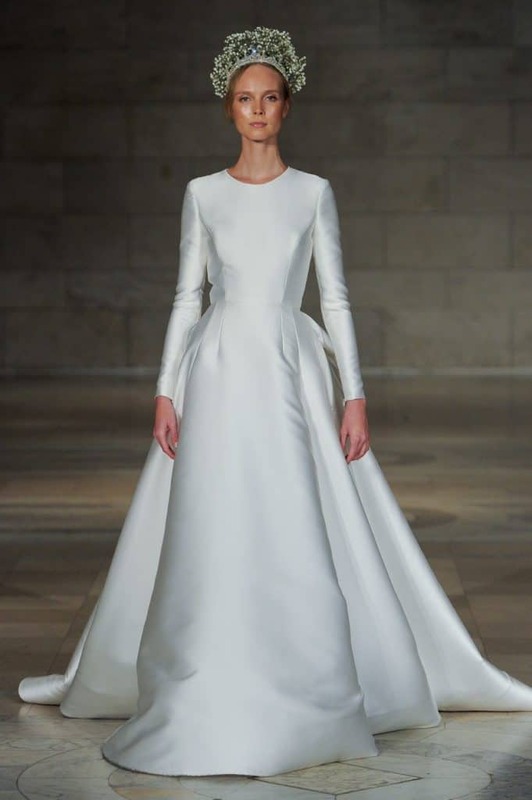 If you are getting married this year, you are in luck because there are some beautiful designs that you can choose to walk down the aisle in. Below I am listing my Top 10 favorite wedding dresses for this season. Check Out My Pinterest Board “Wedding Dresses” for More Inspiration! 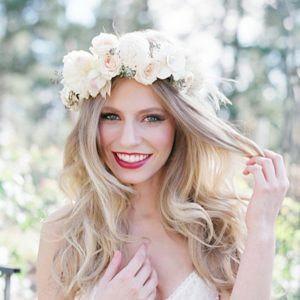 Fall weddings are gorgeous and, with the wedding perfect dress, they are stunning. 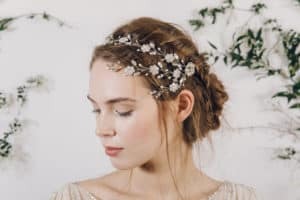 Let your wedding join the ranks of this spectacular season by reviewing the eight (8) most popular trends from the Fall runways that I’ve listed below. Regardless of the trends, there is certain to be some wedding dress that is just right for you so don’t be discouraged if none of these trends suit you. Keeping searching! If you have a flair for the dramatic and are looking to make and entrance, a ball gown might be a great choice. There were plenty of them on the Fall 2018 Bridal runways so your choices are plenty. 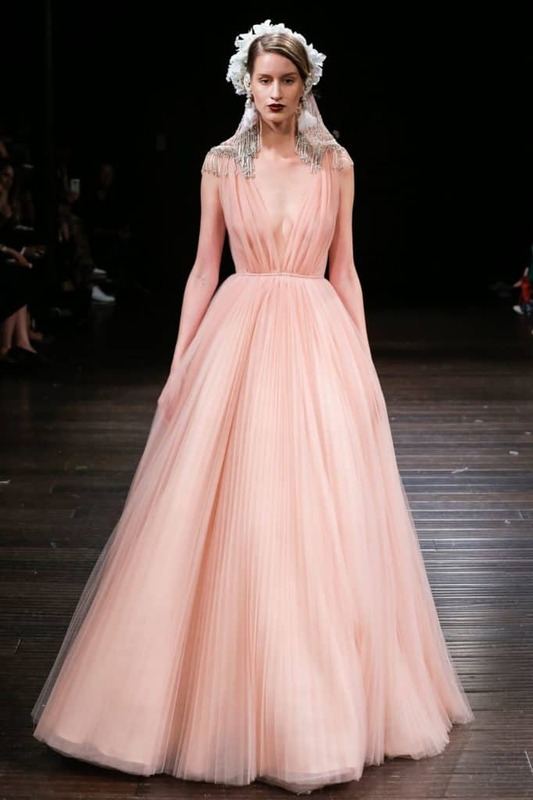 You can add some sophistication to the ball gown by wearing tulle or jacquard to the gown. 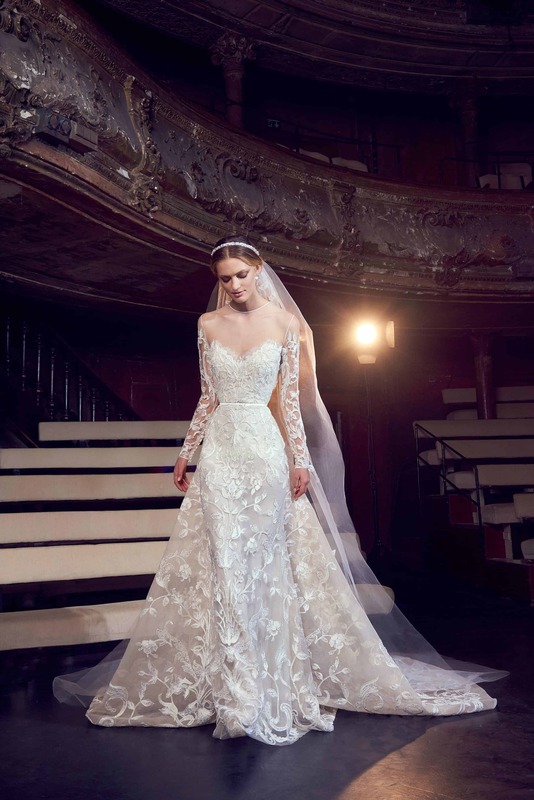 Do you want a wedding gown that is even more feminine? Add one or two or more bows to your wedding dress and voilà! Your wedding dress is ornate and even more beautiful. The presence of bows was ubiquitous on the runways and it’s not a trend that will leave anytime soon. So if you’re up for bows, enjoy! 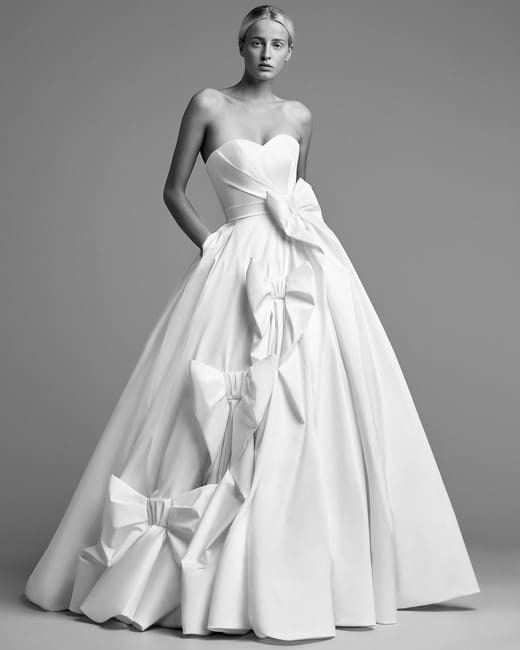 Note below that the Viktor and Rolf wedding dress is also a ball gown satisfying two trends in one wedding dress! Not into veils? 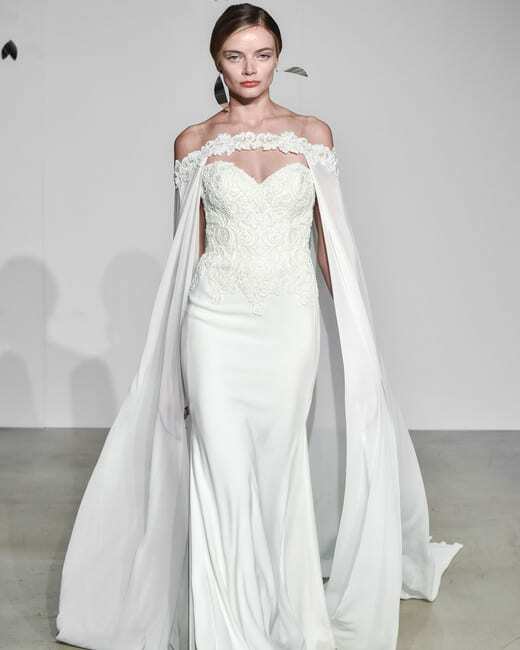 A full-length bridal cape or shorter is the perfect alternative: It still adds dimension to your gown, but it feels modern. Plus, this trend is an easy way to pull off a mid-wedding outfit change. 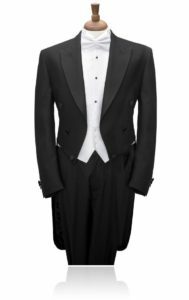 Wear a cape or jacket for a more formal look during your ceremony, then whisk it away to reveal a different look for your reception. A high collar gives off a very high-fashion look. Scalloped lace will give you a regal feel. 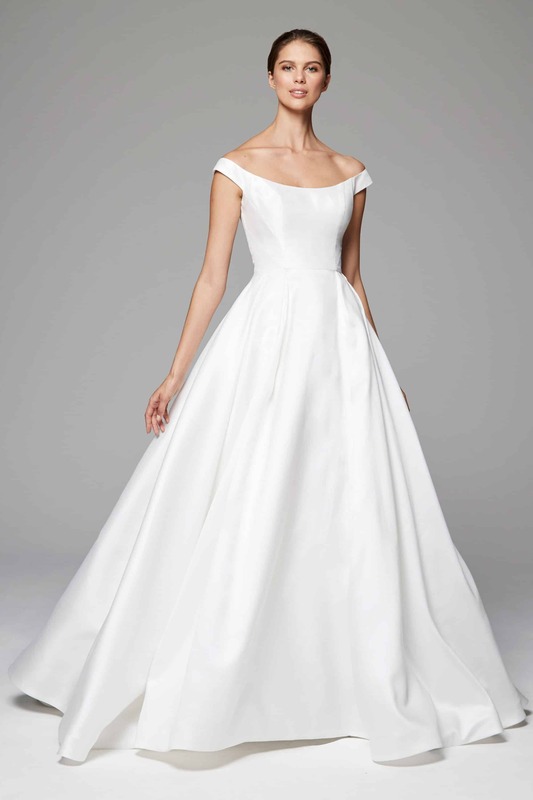 For a modern style, select a high collar made of tulle or satin. Statement earrings and a windswept updo perfectly complement this buttoned-up trend. The millennial pink trend has taken over bridal fashion. This versatile “it” hue appeared in almost every collection, running the gamut from splashy deep pink embroideries to more ethereal shades of blush and mauve. The slinky, curve-skimming slip dress is back on trend. Go for timeless glamour à la Carolyn Bessette Kennedy with a simple, heavy crepe style, or go bohemian with a lace embellished bodice. Either way, this silhouette is effortlessly sophisticated. 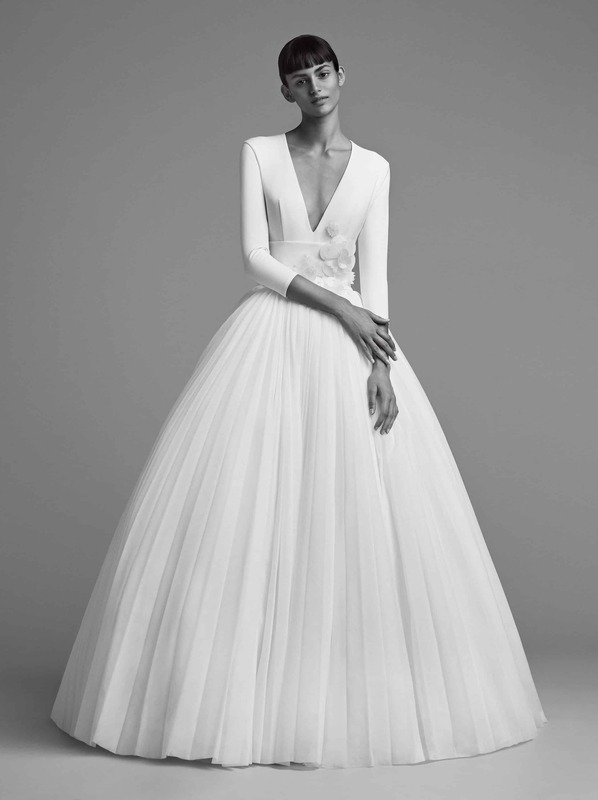 Sheer, split sleeves (long sleeves that split for a streamer-like effect) are a gorgeous way to make an ethereal statement and add movement to your gown. 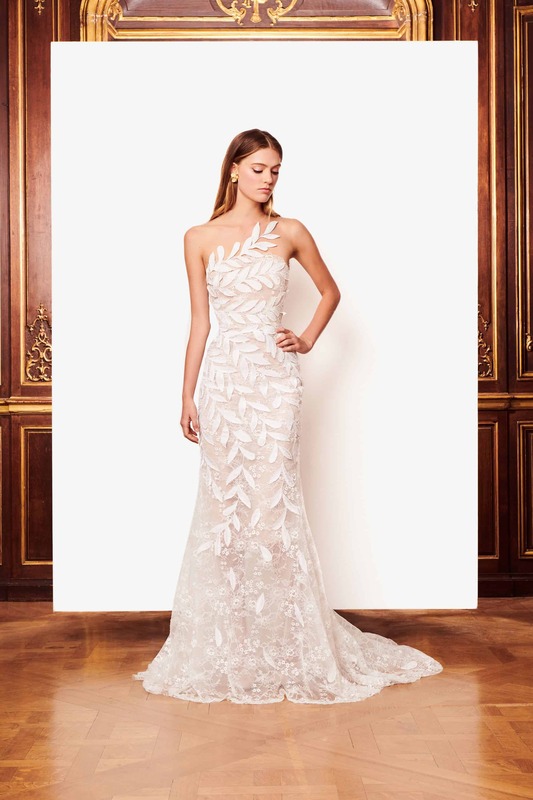 Choose a lace sheath gown with fluttery streamer details or pair the split sleeves with a sultry mermaid-style dress for a romantic look. Check Out My “Wedding Dresses” Pinterest Board for More Inspiration! Are you ready to take that big step and buy an engagement ring? Congratulations on your pending engagement! 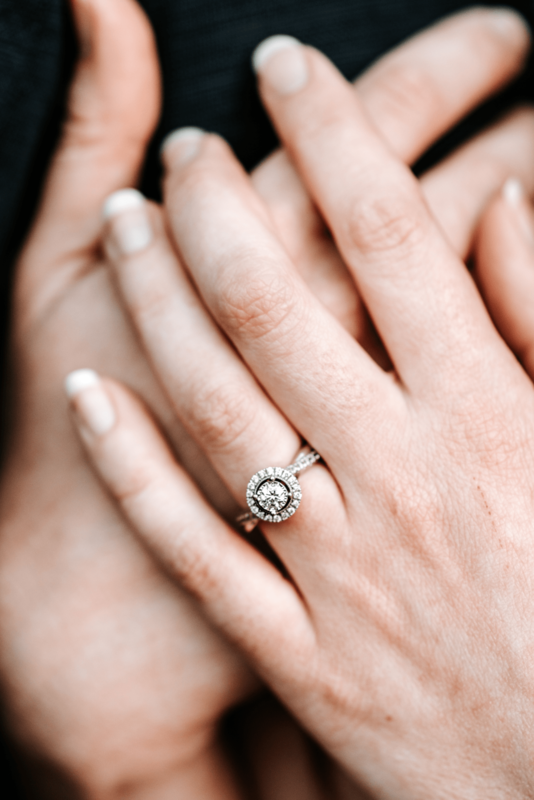 I have scoured the internet to find the best advice on buying that perfect diamond for you, your partner, and your budget. I came across this article from prominent jeweler Blue Nile which provided the most practical advice. This advice is great to follow for getting it right the first time! And stick with it. It may sound like common sense, but there is a lot of ridiculous noise out there about spending three months salary on a ring. That’s all marketing. Don’t fall for it. Much like buying a car, take the time to do some research. Do a bit of research on the 4Cs: Cut, Clarity, Color, and Carat and you’ll learn how to get the best quality for the best price. Cut is the most critical of the 4Cs (raise your hand if you thought it was Carat) because it determines a diamond’s brilliance. Get the highest Cut grade your budget allows. As a diamond’s color and clarity grade improves, its price increases, but at a certain point, the human eye cannot detect the difference in grades. For the best value choose a near colorless (graded G-H) and eye-clean (graded VS1-VS2) diamond. The unofficial fifth C is independent Certification. Insist that your diamond comes with a grading report from the GIA (Gemological Institute of America) to guarantee it’s what the seller says it is. Round brilliant diamonds are very popular, but don’t rule out other shapes, such as pear, oval, emerald, and princess. Fancy shapes, as they’re called, can look larger and cost less than a round diamond of similar carat size. Now, that is fancy. Your phone is smart; use it to compare diamonds—even if you can’t see them side-by-side. Use the independent grading report to your advantage and visit several retailers, online and off, to compare the prices of two diamonds with the same Cs. Just in case, make sure that the jeweler has a good return policy. It’s hard to believe, but some companies still only allow returns within 24 hours and some don’t accept returns at all. Blue Nile offers a 30-day return policy, no questions asked. 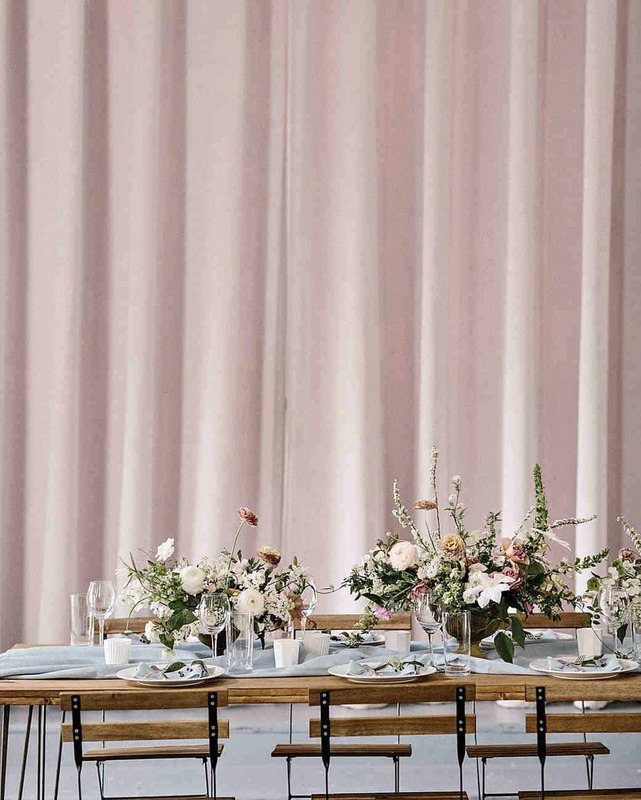 If you are planning a wedding, one of the best ways to determine your color palette is to look at other weddings and find some inspiration there. No matter what season you have scheduled your wedding, you can find just the right color combination that thrills you! I have located some of the more popular wedding color schemes and listed the below. I hope that you will find the inspiration that you need to decide on your own wedding colors! 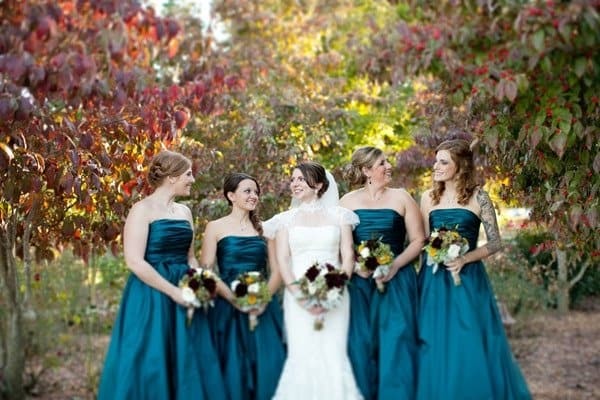 This warm color combinations works throughout the year, but it is especially appropriate for a fall wedding. This bouquet features a variety of different roses in a trio of hues. In an otherwise all-white event, adding a touch of greenery is one of the most classic wedding color palettes. Greenery is Pantone’s Color of the Year for 2017. A common color scheme is pastels, especially for a spring wedding. Pictured here is blush and powder blue. 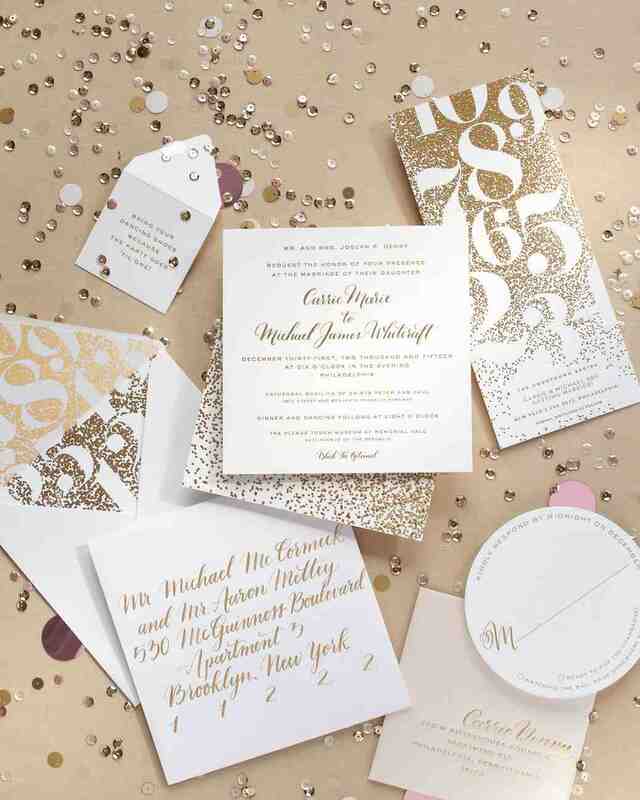 Silver and gold and any other metallic color combination are perfect for New Year’s Day and New Year’s Eve weddings. It’s quite festive and perfect for the occasion. 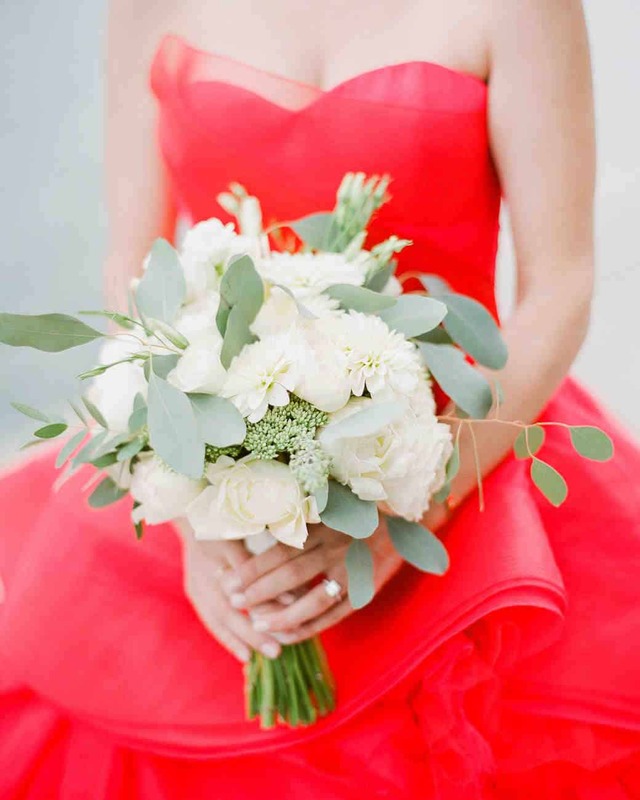 Red is a favorite color for weddings because it symbolizes love and luck. White is a great color with which to pair it as it will not overwhelm the radiance and power of the red. Emerald, sapphire, ruby, amethyst—possibilities abound among the jewel tones! 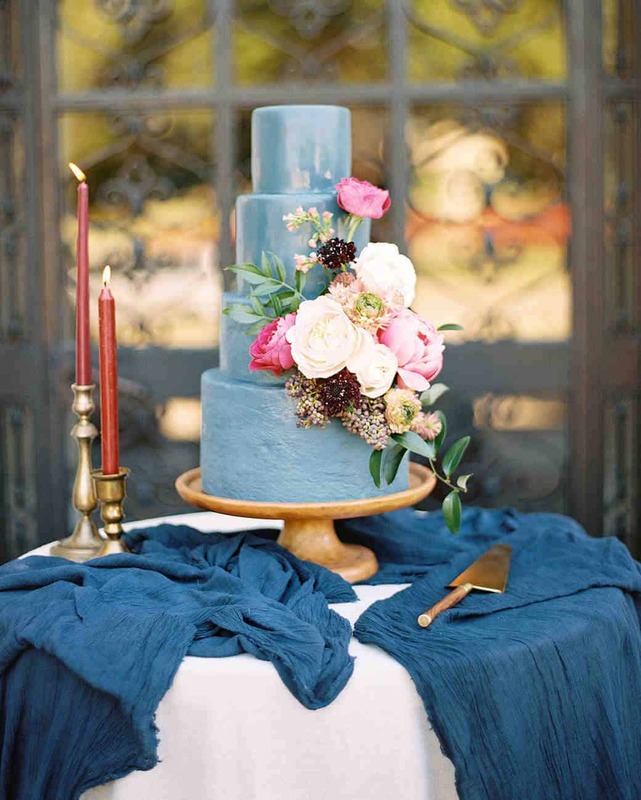 This wedding cake demonstrates the beauty of choosing jewel tones. For a tropical wedding, mix magenta, violet, and verdant green to create an ocean breeze ambiance. Purple ranges from luxurious to peaceful, depending on the hue used. For a clean color palette, pairing it with neutrals, as in this arch, is a great choice. 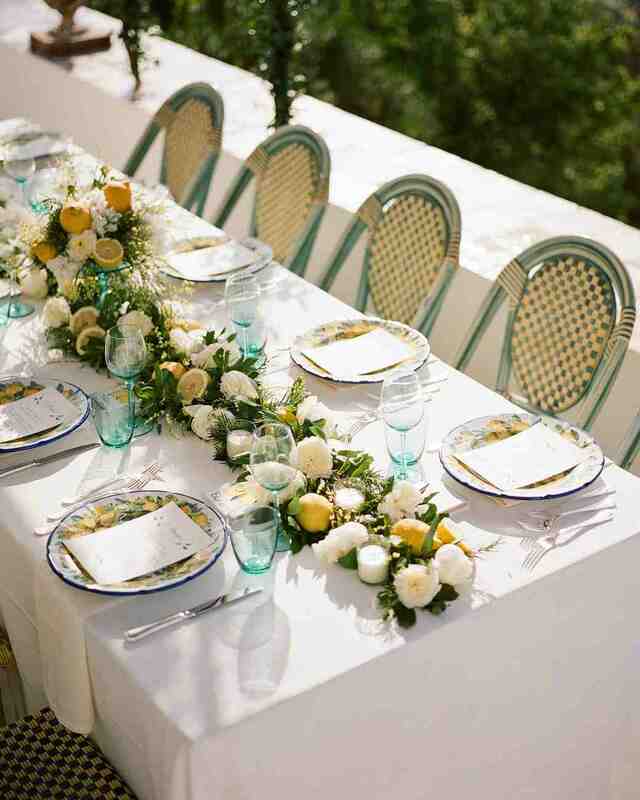 This combination is definitively cheery, whether you use turquoise and lemon (shown in this tablescape), cornflower and goldenrod, or another happy mix. Give your event a glowing effect with fiery colors in more subdued hues. This bouquet is sunny and lovely. Berry shades are appealing to brides and grooms that desire a rich colorscape. Best of all, tons of flowers come in the colors, like those in this arrangement, so there’s no shortage of ways to bring these shades into your day.